type of personalisation type of personalisation (required)Yes, please add personalised engraving!No personalised engraving, thanks! type of personalisation (required)Yes, please add personalised engraving!No personalised engraving, thanks! type of personalisation (required)Yes, please add personalised engraving!No personalised engraving, thanks! type of personalisation (required)Yes, please add personalised engraving!No personalised engraving, thanks! 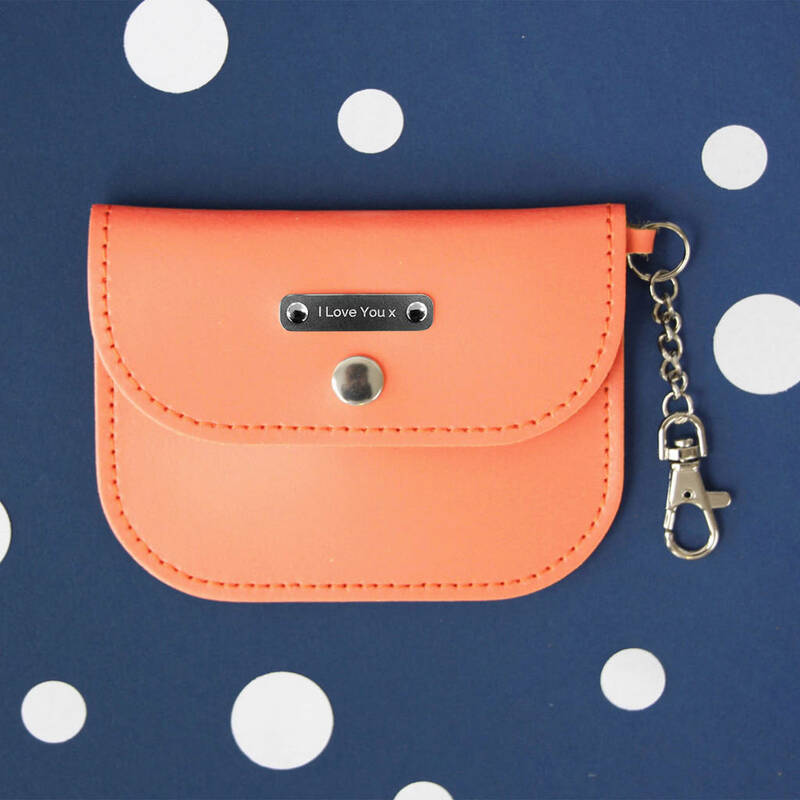 This cute leather Personalised Purse is perfect for stashing your cash - it's got your name on it (literally)! 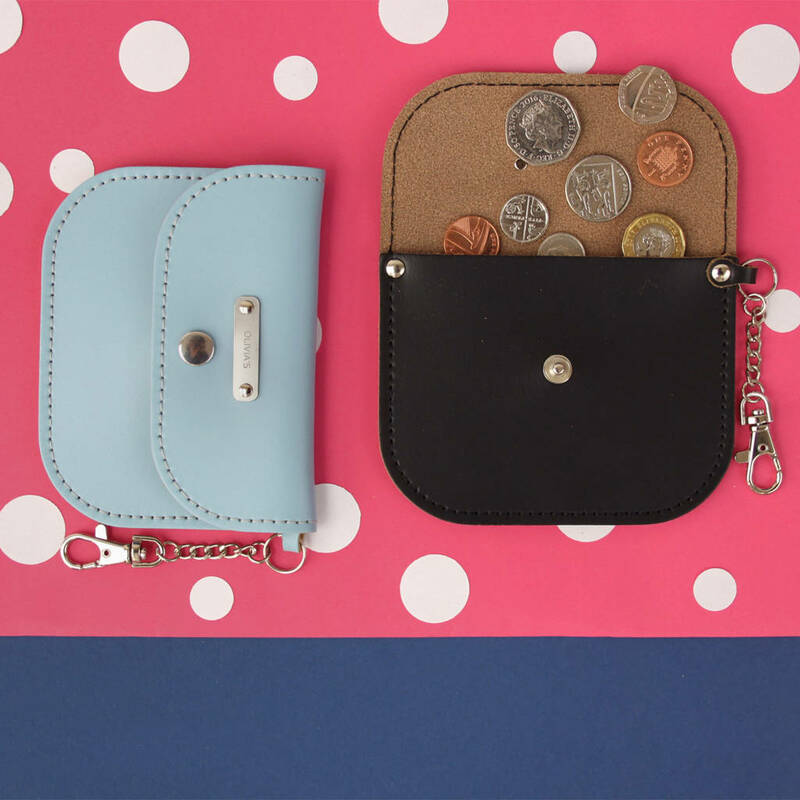 Our personalised leather Coin Purse may be small, but it’s certainly mighty! 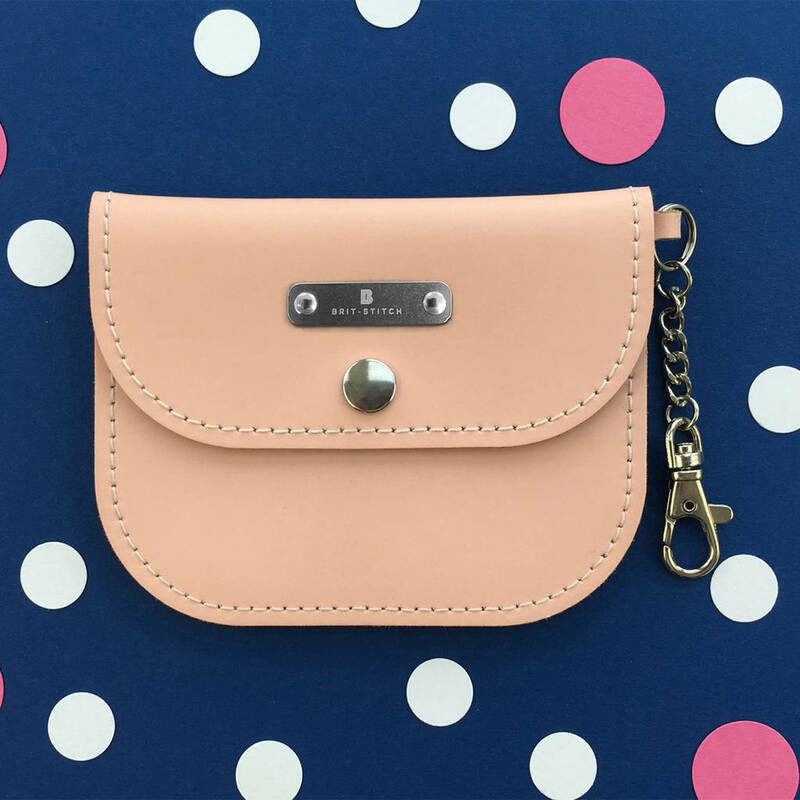 This handy little thing will keep your coins and cards safe without taking up precious room in your favourite (yet impractically small) handbag. 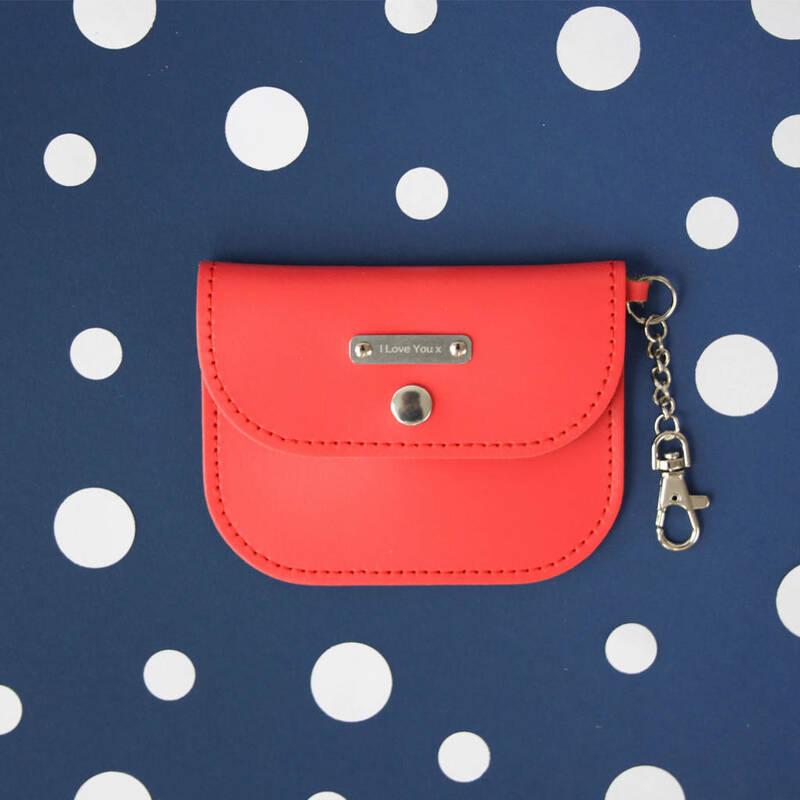 With inner pocket, press stud fastening and key chain for total security. The keyring clip ensures it’s always right where you left it, and you’ll never be caught scrabbling around for your purse again. A lovely gift for yourself or a friend! Want to put your own stamp on a Coin Purse? Add personalised engraving and make sure everyone knows it’s yours! Don’t forget! 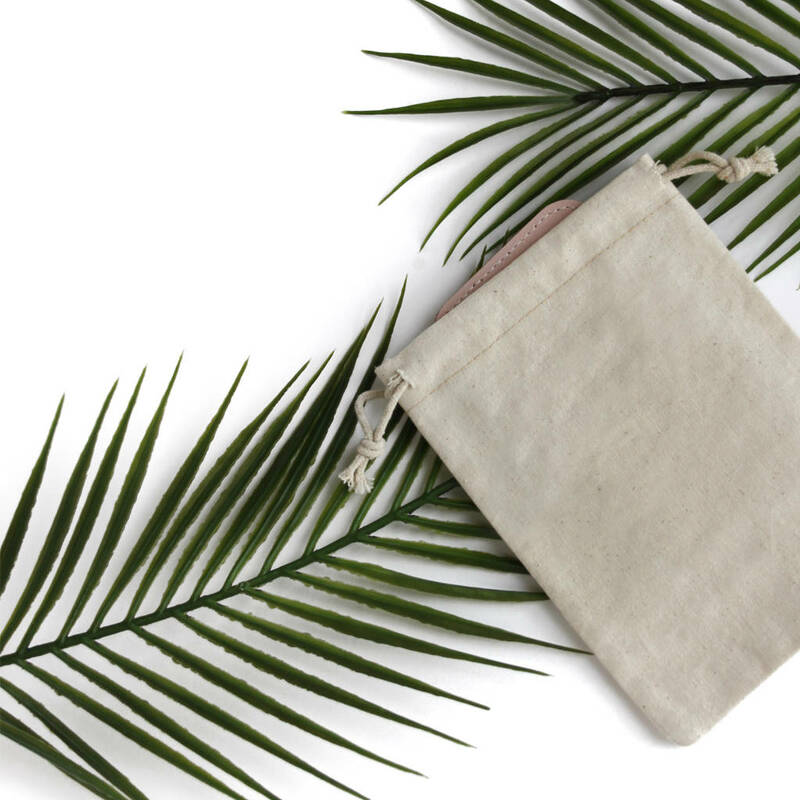 If you have your Coin Purse personalised, it’s non-returnable. 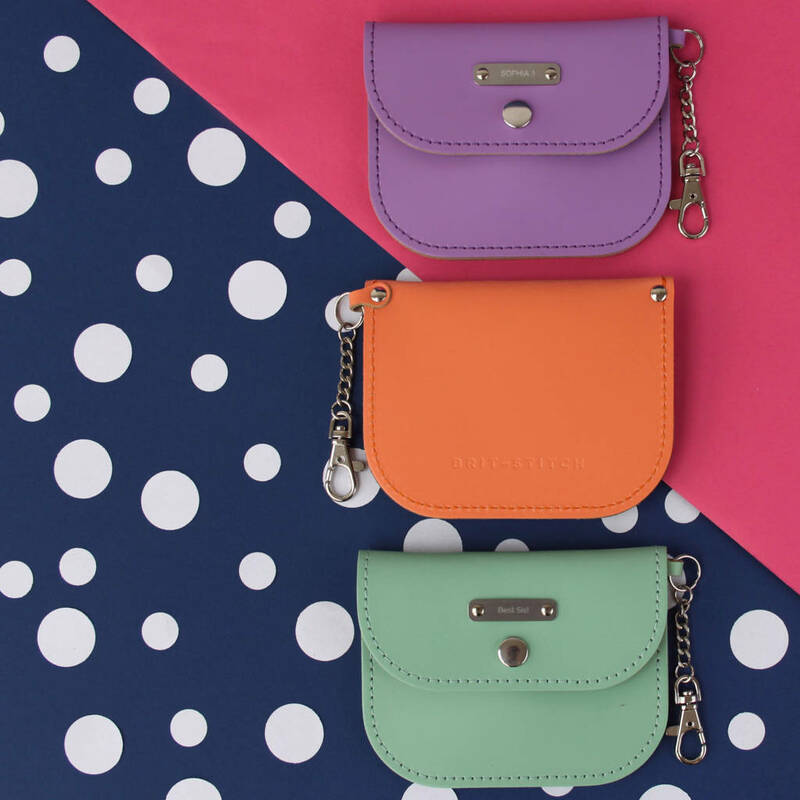 Handmade in the UK from 100% Bovine leather. This product is dispatched to you by Brit-Stitch.